Studies show that saccharine, while containing no calories itself, causes an increase in appetite in both animals and humans. That is the reason soft drinks containing artificial sweetners actually cause weight gain, despite having no calories in them to speak of. Calorie intake of both humans and animals increases because the artificial sweetners increase the appetite of both, making them desire more food and feel more hunger pangs. A Rogers and Blundell study from 1989 showed that people who ate yogurt sweetened with saccharine experienced a significantly higher desire to eat afterwards because of feelings of hunger, than did a group that was given yogurt with no added sweetners, and another group that was given yogurt sweetened with glucose (sugar). 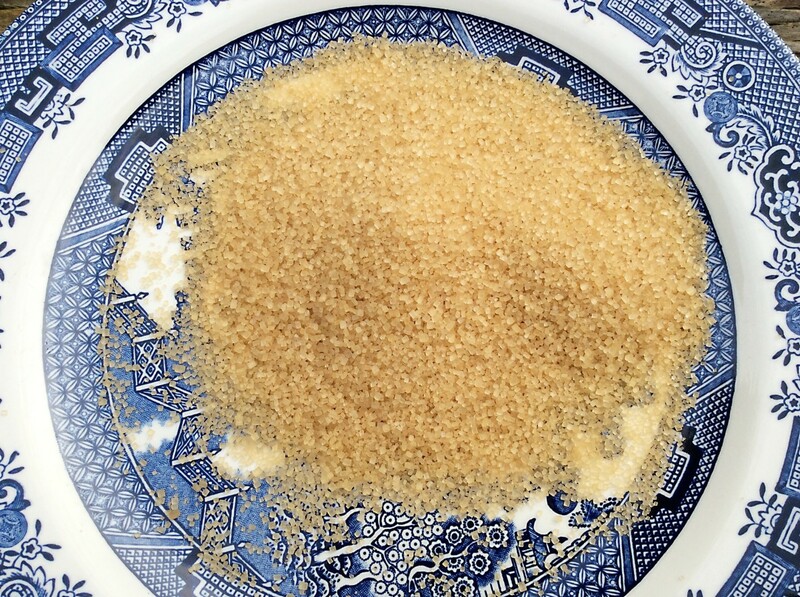 Saccharine and other sweetners are actually added to livestock feed in order to fatten the livestock up faster for market. So the answer is, diet drinks do not make you fat, but they do cause you to crave or desire additional food, especially sweet foods, that are often packed with sugar and fat. Giving in to the hunger pangs apparently caused by the artificial sweetners in diet drinks is what actually makes people fat, or fatter. You can read some information from this study if you are interested, by clicking here. Can Apple Cider Vinegar Help You Lose Weight? How Does The Apple Cider Vinegar Diet Work? Toxic Chemicals In Our Toothpaste -- Triclosan and Diethylene Glycol -- Is Anything Safe Anymore? Chines toothpaste often contains diephylene glycol and toothpaste manufactured in the U.S. often contains triclosan. Both of these chemicals are considered toxic. Why these chemicals are toxic and what is being done about them. Kristie Leong, writing for Suit101.com identifies 4 dangers that soft drinks pose even when they do not contain artificial sweetners. Leong says soft drinks cause health issues because they contain high fructose corn syrup, because they contain phosphoric acid, because they contain caffeine, and because the cans the soda is contained in are coated with a resin that contains BPA (bisphenyl-A). The issue with HFCS (high fructose corn syrup) is the way it is metabolized by the liver, which breaks the HFCS down faster into its basic ingredients, which as a result are metabolized in a way that raises the risk of heart disease, fatty liver, and diabetes. Evidence from additional studies is piling up, that these risks are real and serious. Phosphoric acid is something I remember hearing about in nutrition class at the university. My instructor spent a lot of time on phosphoric acid and its dangers. Phosphoric acid breaks down bone tissue and increases a person’s chances of developing osteoporosis. In the process of passing through the body and out in urine, it takes a lot of calcium with it. Most people, especially women and young girls do not get enough calcium to begin with and phosphoric acid depletes the calcium in the body even more. Caffeine contributes to behavioral problems and hyperactivity as well as sleep problems and insomnia. Lots of people drink soft drinks because of the caffeine in them, but Leong says children and teenagers do not need the caffeine they contain. While soft drinks usually contain less caffeine than sports drinks or coffee, they do contribute to caffeine dependency in children and teens, Leong warns. Peggy W., thank you for sharing your thoughts and for sharing this article! I agree. I didn't know regular soda was a good cleaner. I know coke is, but it stains. I don't like soda pop, never have. Tried it as a kid and I just couldn't learn to like it. I'm glad I didn't because in addition to all the health risks associated with it as you have pointed out, it's expensive. It recently made the national news (again) as to just how BAD drinking sodas are for one. There is such an increase in diabetes in our country and some of it is attributed to that. Considering that soda can clean toilets and if poured over ant hills will kill the ants...........I don't want to put that in my body. Sharing this again. Thank you for bringing attention to this article and the issues therein. Artificial sweeteners are among the many things that make people fat and they aren't even aware that they are undermining their own health by using them. This is so interesting and more people need to know about it. Most of us know very little about the substances we put in our bodies and we have no idea how much harm we are doing to ourselves. I'm sharing this again to help get the word out. Vocalcoach, thank you for coming by and sharing your thoughts and experience with sweeteners. I have heard other people speak well of Stevia. Perhaps one of the reasons it is useful is that it is a natural sweetener rather than artificial. It is the artificial sweeteners that are fed to livestock just before shipping them to market in order to fatten them up a bit. Peggy W, thank you for sharing and G+ing this article! I wrap up in my toasty quilt and then it can get as cold as it likes. Hope all is well with you and your family too. I've been researching the sweetener Stevia. I, too am diabetic and this is what I use. Because it's an herb it appears to be safe and is a literal life-saver for those of use watching our sugar and glucose intake. I am going to share this informative hub once again and G+ it as well. Hope you are doing well and staying warm. This cold front in Texas has certainly dropped our temperatures much lower than normal for this time of year. Thank you Shyron, for sharing information and your thoughts as well as for the votes and share! Blessings to you and John also. My doctor said: No Soda diet or otherwise. and I have read about the loss of bone mass from sodas. But, I can't live without my caffeine. At least 6 cups of coffee, no sugar which I understand feeds cancer cells. I use Sweet Leaf Stevia sweetner. Blessings my dear friend, I hope you are okay. PegCole17, thank you for coming by and reviewing this article. I sure all the things you mentioned contribute to obesity and bad teeth. The corn syrup sweetener isn't helping either. When I was growing up on a farm there was nothing like feeding the livestock corn for getting them fattened up for market. Artificial sweeteners are cheaper than corn and that is why they are used now instead, but that does't change the fact that eating lots of corn is a great way to get fat. Thank you Shyron for coming by and voting on and sharing this article. It needs views and people need to understand how artificial sweeteners work. Yes, these are the same artificial sweeteners that are in most foods for diabetics. Lots of people are now using Stevia which is suppose to be better for you, but I don't think that is in soda pop. I dont buy soft drinks, and have never liked them. Blessings to you also. Hope you won't be out in the heat very long tonight. Know it's cooled off some, but at 97 it will take a while to get down to civilized. Came by to check out this information once again. When we were kids, Coke came in 12 oz. glass containers or was poured at the fountain into glasses. It actually contained sugar at that time, rather than high fructose corn syrup. We would buy a 6 pack of bottled soda once a week for a family of five and treated it like it was special, rather than for everyday. Perhaps some of today's issues revolve around the fact that sodas are served in the 44 ounce size (Route 44 or whatever they name it to be cute) and people drink several of these pitcher-sized drinks daily. Everything in moderation. Au fait, The only way to avoid drinking diet drinks is to not buy them. What I don’t understand is if artificial sweetener is what makes you gain weight, are these sweeteners the same and diabetic foods? Rafiq23, thank you for commenting and for your high praise. I hope people will utilize the information here to better their lives. A very well informative, useful and interesting hub! Thumbs up! Thank you Deborah-Diane for commenting on and sharing this article! 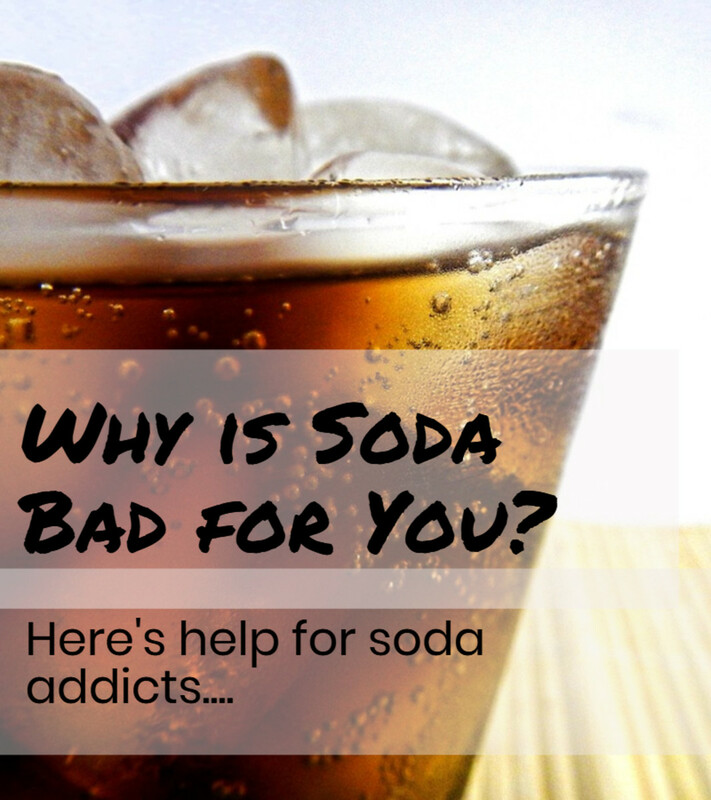 There are many health issues involved with soda pop, and so many people consume gallons of it every day. It isn't just the artificial sweeteners that will make you fat, but also the plastic bottles and plastic lined aluminum cans that will make you even fatter. I wrote an article on Wikinut that explains how BPA, an ingredient in all plastic food containers and even cans that are line with it, make us fat too. I am sharing this Hub with my followers again because people need to be aware of the health problems they can create for themselves if they overuse artificial sweeteners. Thanks! Thank you Rose-the-planner for stopping by and leaving a comment. Also for the votes, etc. PegCole, thank you for reading and commenting on this hub and for sharing your experience with this subject. I have recently learned there is something else that is very bad for weight gain, which if I just live long enough, I'll be adding to my hub on things that make people fat, and I think it will surprise people because it's something a lot of people do that doesn't even involve eating or drinking unhealthy things. Or I may decided to write a whole new article about it and publish it on another site with a back link to this one . . . decisions, decision . . . ;) Thanks for taking time to read this hub! Peggy W, thank you for reading and sharing this hub, and for sharing your thoughts. I don't drink soda pop myself. Never liked it, but I view it as a waste of money and detrimental to everyone's health. Some schools have taken the pop machines out, while others have added alternative drinks. I think they should offer healthful drinks instead of soda pop. Juices with no sugar added, and maybe milk. At least these other drinks offer some nutrition and have no artificial sweeteners in them. Hello Au Fait. Wonderfully informative article on the negative aspects of soda and in particular, diet soda. When my hubby found out he was diabetic, he started drinking diet soda and we would buy it by the case. Over the past few months we have cut out most of the sodas and artificial sweetners we used to use. Now I'm really glad after reading these facts. I think this may explain the increase in obesity that our country has experienced in the past few years. Sodas. Wow. Going to share this hub once again. Schools should take out those machines that sell soda. After all...what better place to teach kids about good nutrition habits than school if they are not taught it at home. At least it would help them cut down on consumption of sodas...diet or not. Thank you peoplepower73 for reading, voting on, sharing and pinning this hub! Very much appreciate your sharing your experience and thoughts on this subject as well. I don't know any studies off hand regarding the dilution of caffeine, but I would expect it is diluted when water or any other liquid is added, just like any substance would be that isn't in a firm block. Even diluted, if you still drink all that is in the container, you will still get all the ingredients therein also, including all of the caffeine. 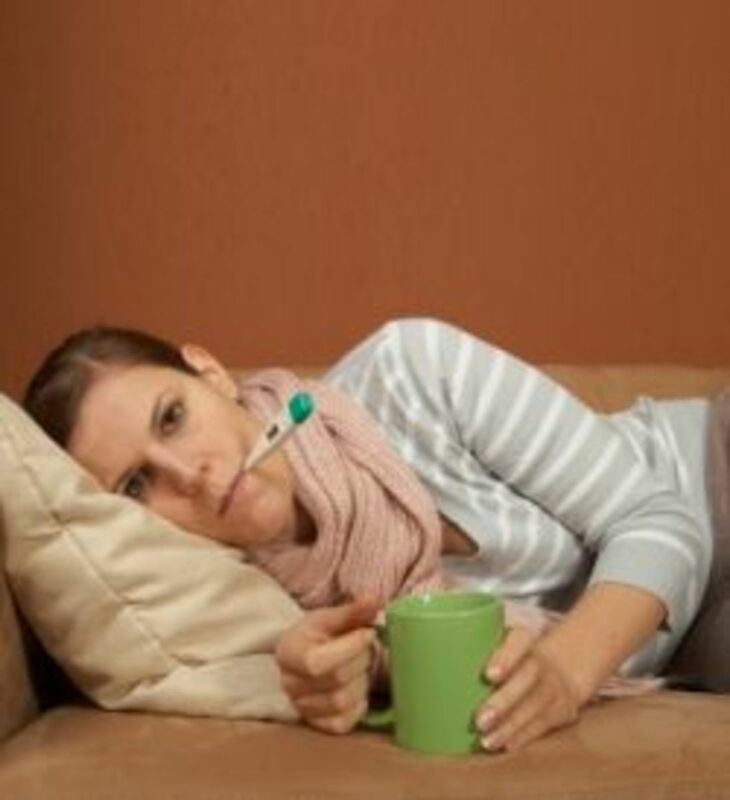 If, however, you dilute the tea by adding an additional cup of water (8 oz.) and then only drink half of the liquid, presumably you would also get just half of the caffeine. I wonder if I could ask you a favor Mike. I know you pinned this hub, and I have since discovered that the picture on it was pixilated. As a result, it shows on your Pinterest board as a big white H on a black background. I wonder if when you have an extra minute you could delete that pin and then re-pin this hub. I have changed the picture and it is no longer pixilated so that the big white H should be gone. :) A hub with an interesting picture is more likely to get clicked or re-pinned than a hub with a big white H. I apologize for the inconvenience. mperrottet, thank you for sharing your thoughts and for voting on and sharing/pinning this hub! Soda is a body and a bank drain as are many other drinks that are mostly water with unhealthy ingredients added. I think if person is informed about the influence artificial sweeteners have on their desire for food s/he can better control the affects the sweeteners have. Paul Kuehn, thank you for reading, commenting, voting on and sharing/pinning this hub! Also interesting to hear about your colleague. I'm wondering if he has been checked for diabetes as people who have it often have very large waists while the rest of their body may be of normal proportions. Great information. I usually have one cup of decaf coffee all day; water at lunch; and red wine at dinner. If we eat out, I usually have ice tea, beer, or wine. I absolutely do not add artificial sweeteners to anything. But they can't be avoided it they are already in the product. I think the tannin in the ice tea can tarnish teeth and it has caffeine. I often wonder if the caffeine is diluted by the melting ice? Do you know of any studies that have been done on that? When I was in the Air Force ( a hundred years ago) in Biloxi Mississippi, the water tasted so bad, I vowed to never drink it and for a year and half, all I drank were cokes. I ended up with five cavities, but I have never had a cavity since then. A very informative hub, voting up, useful, sharing and pinning. After reading this, I'm really glad that I stopped drinking soda years ago. I do use artificial sweetener, but try to keep it to a few packets a day. This is a well researched hub - voted up, useful interesting - sharing and pinning. Thank you very much for this well-researched, very interesting hub. I work with a teacher who is in his early 60s. Every day he goes through at least three sixteen ounce bottles of Coke Zero. Actually, he begins drinking the Coke Zero after he has a pint of chocolate milk and pastries for breakfast. Although he is tall (6'4") and body features which are thin to medium, he has an enormous paunch (beer belly), but I don't think he drinks beer. I personally feel it is due to all of the Coke Zero which he is drinking every day. Am I correct? Voted up and sharing. Also Pinning and Tweeting. Thank you Peggy W for appreciating and pinning this hub! Going to pin this hub to my Health related subjects board. Will make a good addition! Thanks for writing this. Am sure that there are still many people who think that drinking diet drinks will help them maintain or even lose weight. Information like this is good to know! Thank you Peggy W for commenting and adding some useful information to this hub. I didn't know you could kill ants with soda pop either. Thank you for tweeting too. Hope fresh air and sunshine (gardening) helped you to feel better and that you're back to feeling great now! I know fresh air seems like the best thing for helping a person get a good sleep and getting enough sleep can make such a difference. Thank you for sharing that information Shyron. Most doctors don't know beans about nutrition. It's an elective class they can choose to take or not. Glad to know your doc is on the ball. No problem. I also get behind on comments for various reasons. Just now on the computer for the first time today. Did lots of gardening today. Won't be on it long. Achy and tired. There is always tomorrow! Wonder how many people know that they can kill ant hills by pouring soda on them. Anyone reading the comments on this hub will now know. :) Will give this a boost by tweeting. Peggy W, thank you for reading, commenting, voting on, and sharing this hub. Also appreciate your story about the pesticide use of carbonated soda! That is useful information that I and many of my readers will likely find useful. Sorry it's taken me so long to respond to your much appreciated comment, but this has been a murderous week at work. Going to try and respond to a few comments before I hit the sack. Hope you will have a great weekend. Thanks again for spending some of your time on my hub! Thank you KenWu for commenting on this hub. I have no trouble resisting Coke or any other soft drink. I've always hated them and any carbonated drink. Coke and Pepsi taste awful whether or not you consider the carbonation -- just my own opinion. Sugared soft drinks rot your teeth and artificially sweetened soft drinks make you fat. They all cost way too much for what they contribute to one's life. My doctor says this is true. We very seldom had sodas when growing up and drank milk and water instead. I have never had a cavity in my life although foolishly I listened to a dentist once who encouraged me to have two fillings just because the natural depressions in two of my teeth were deep and they would be hard to keep clean...according to him. Live and learn! Will definitely share this information with others who may not realize the danger of drinking sodas. UUI votes as well. We have a grocery store called HEB and they often have what they call meal deals. You purchase one item and get others free with that purchase. Sometimes they have 2 liter bottles of sodas. We either give them away or have found another purpose for them. They make great ant killers! I once read where carbonated water can kill ants so I tried some of our sodas instead. Since they are also carbonated, it works! Thank you Shyron, for commenting and sharing your solution to artificial sweeteners. Just excellent! Great research and I'm glad I do not drink any carbonated beverages or processed fruit juices. Thanks for this wonderful reminder, Au fait. I don't take sweetner of any kind in my coffee. This is a very useful hub. Will share. Thank you Sweetie1 for reading and commenting on this hub. I hope your father will find some useful information in this hub that will be helpful to him. Very useful info. My uncle is a diabetic so he can not put sugar in his food but he takes sweeteners in his tea about 6 to 7 tabs a day as he is I think a fan of drinking tea. I am sending the link of this blog to him. Thank you Shyron, for stopping by and commenting/voting on this hub! Super hub. This hub voted up-UAI. vijaykumarcmeseo, thank you for stopping by and leaving a comment. It's very true that advertisements can be very misleading with their graphics. Thank you DDE, for commenting on my hub! I've never liked soft drinks so thankfully, I've never become addicted to them. But, since the artificial sweetners are fed to livestock to fatten it up faster form market, you and I are both lucky we don't drink them! Green Bard: Thank you for taking time to comment! They're very hard on your tooth enamel, and the artificial sweetners are fed to livestock to fatten them up for market, so what do you think will happen to you if you drink them? 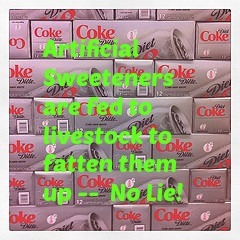 I believe they do cause weight gain and also are harmful because of the aspartame in many of them. Voted up! sandrabusby: Thank you for reading and commenting on my hub, I really appreciate it. Thank you for sharing also. It would seem the only positive thing that is accomplished (depending on your definition of positive) when people buy/drink soda is that a lot of people make money. The soda manufacturer, the medical profession beginning with your dentist, and of course the diet industry along with all the little middle men. Thank you, hi friend, for taking time to read and comment on my hub. It is much appreciated. moonlake: Thank you for taking time to read and comment on my hub! Very much appreciate your doing that. Artificial sweetners and some other ingredients in sodas are bad for people even when they have not been put in a can or a bottle. Thanks for stopping by and leaving some comments, Brett. Very much appreciate it. Seems like everything most people like is unhealthy. Glad I never developed a taste for soda. I have enough trouble fighting the urge for brownies! Thank you Tillsontitan for your input. Very much appreciated. I wasn't expecting to discover that artificial sweetners are fed to livestock to fatten them up faster when I first started researching the subject. That was a surprise to me. Glad I never developed a taste for them. Thank you, Au fait. This is one of my soapboxes so I'm delighted to share it. Very useful information. Vote up with thanks. I love my diet coke but it has to be fountain. I don't like it out of a can or bottle. I had heard the same thing about diet soda but now you've proven it for me. Funny, I started drinking regular Pepsi, then switched to diet Pepsi, now drink water, as Bob Dylan said, "The times they are a changin". I've never taken to soft drinks and all but never drink one. What surprised me was that artificial sweetners are fed to livestock to fatten them up faster for market. That should be a red flag! Thank you again, Shyron, for reading and commenting. Thank you Diogenes, for commenting. Maybe the rum and whisky will neutralize the bad affects of the soda . . .
Another great hub. I don't drink soda, diet or otherwise. Because I have read about the loss of bone tissue from sodas.